We would like to take a minute of your time and introduce ourselves. 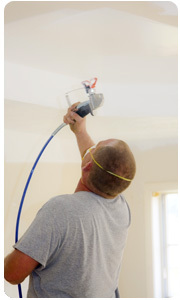 Expert Painting is the oldest and most established painting contractor in the tri-cities. We have also been part of the BBB for over 30 years. The company was established in 1971, founded by Kenneth Hodgins Sr. and is a family run business. We have an excellent team of professionals and our reputation speaks for itself. We specialize in industrial, institutional and commercial painting. We do provide immediate, on site quotes with competitive rates and would like to do business with you. This is introductory to give you an idea of what we are capable of doing and advising your company of our services. Our guarantee is satisfactory work, with a strong history and work experience to back that up. We will get the job done, in a timely manner, with excellent results. If your company or know of a company that requires any further renovations, please keep us in mind. Copyright 2019. Expert Painting Inc. .